The first in a series of how to specific scripture prayers that usher in Godly answers. I quit giving God a laundry list of “to do’s” a long time ago. Over the years, as my relationship with Jesus has deepened, he has shown me more and more glorious signs of his ever present companionship. I have seen daily answers to constant, “conversational” prayers. Those are the things that I simply chat with him about. Like, “Whatever lies ahead in my day God, thank you for equipping me to handle it.” Or, “Which route on my GPS should we take, Jesus?” “Can you help me to shut my mouth today and just listen?” And, when I’m in Wal-Mart, “Please touch that man over there and help him to walk better.” And so on… They are simple acknowledgements of his presence, power and desire to be involved in ALL of my circumstances, relationships and experiences. 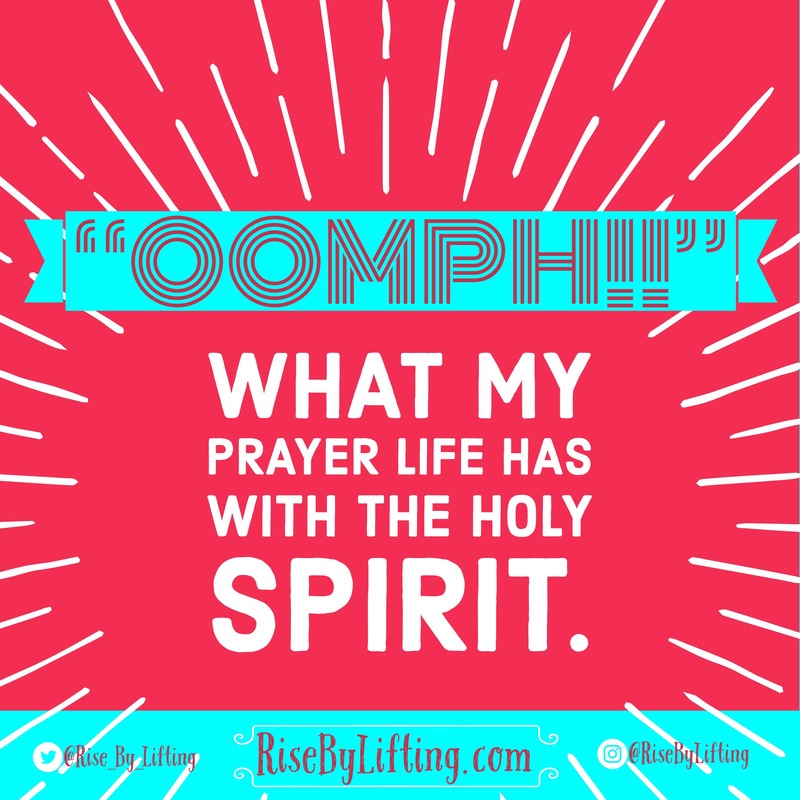 BUT, sometimes I just need a little more “OOMPH!” with a burden I take to God in prayer. The sword of the Spirit is the only offensive weapon in the arsenal of the armor of God. The sword is the Word of God, the Spirit uses on our behalf to “take action”, to “get stuff done”. When we need to pray BIG PRAYERS and see God move, we need to make sure our requests are scriptural. Then we need to seek out the scriptures to turn into a sword and do battle. 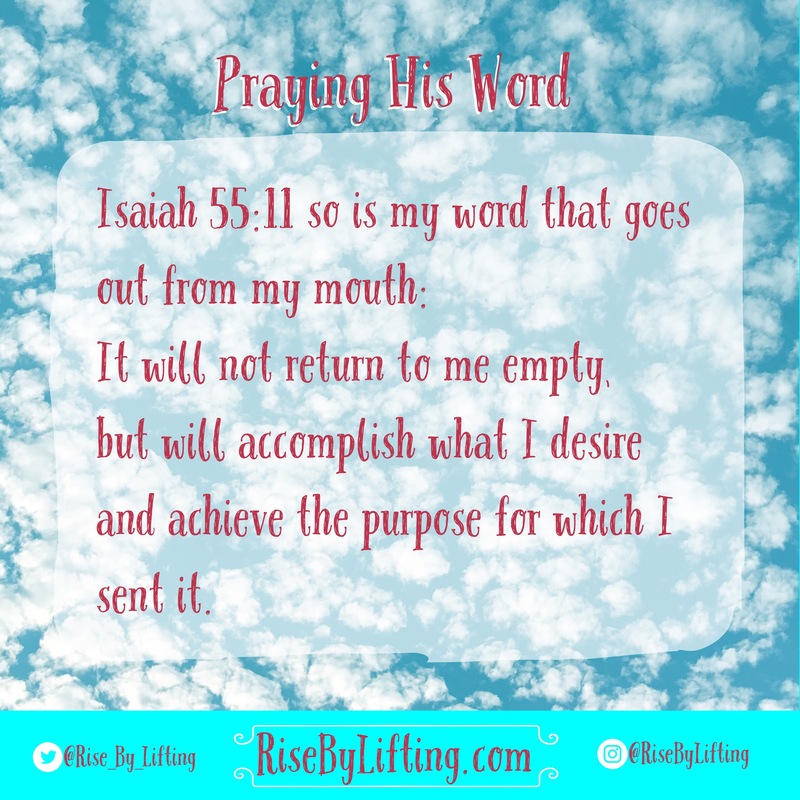 There simply has not been a time when God has led me to wield his word in prayer, that it went unanswered. 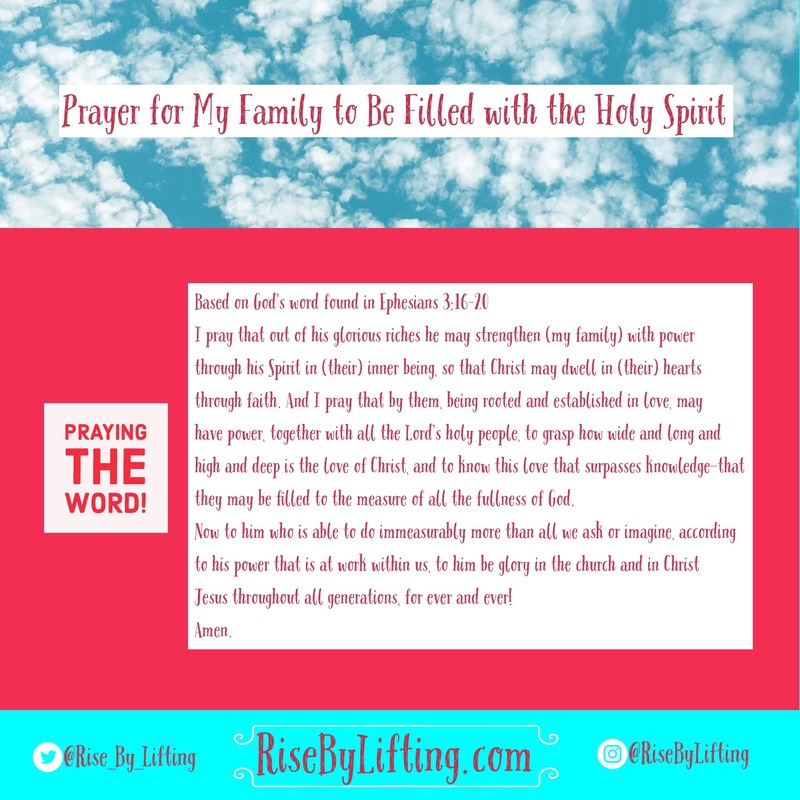 So, I hope that I can share with you how to pray the scripture (it’s so easy:) and watch the Spirit move. 1. Choose your scripture based on your burden. Google is a great resource if you don’t have a study Bible handy. I also use Bible Study Tools and Crosswalk for quick scripture topic and commentary look ups. 3. Wield the Sword. Go to work. Do battle. Get on your knees, highlight it in your Bible, write it, type it, text it, paint it, PRAY IT! 4. Believe it. God’s word does not go unanswered. 5. Thank HIM for it! Having been filled with the Spirit, since intentionally asking God to bless me with the gift, decades ago, I have discovered another cool fact: God didn’t send the Holy Spirit just to comfort you, to guide you, to protect you. He primarily sent his spirit to empower you to bring glory to Jesus, by giving you the boldness – to “go” and to “do” – the works he has called you to. There are so many wonderful reasons to seek the baptism of the Holy Spirit. Having the extra “OOMPH”, to be able to journey on for Jesus is my #1. My Presbyterian grandma had that “OOMPH! !” She was filled with the Holy Ghost (seriously- you think it’s a denominational thing? It’s a gift, not a legalism:) and introduced me when I was in the 6th grade. It became her prayer, I would one day seek the Gift for myself for Christ’s glory. At 16 I did. And so, here I am with a lot of Holy Ghost “OOMPH! !” experiences under my belt that have bolstered my faith and walk with Him through life. I can be very indecisive. It’s truly a weakness of mine. That’s where the Holy Spirit comes in. “OOMPH!” He guides me on my way. I can really lack focus at times, that’s where a little Holy Spirit led prayer comes in, and “OOMPH! !” I’m like a saber wielding Jedi. I’ve had really painful and heartbreaking, scared to death moments in my life, and “OOMPH! !” I discover strength to carry on. So, if having experienced such a wonderful gift all of these years, why wouldn’t I want the same for my children? My family? All of them. Here’s a BIG PRAYER based on scripture that you can prayer to begin seeking the movement of the Holy Spirit on and in your loved ones. “I pray that out of your glorious riches you will strengthen (my family) with power through your Holy Spirit in (their) inner being, so that You may dwell in (their) hearts through faith. And I pray that by them, being rooted and established in love, may have power, together with all of Your holy people, to grasp how wide and long and high and deep is your love, sweet Jesus, and to know this love that surpasses knowledge—that they may be filled to the measure of all the fullness of You. Now to You Holy God, who is able to do immeasurably more than all we ask or imagine, according to your power that is at work within us, to You be glory in the church and in Christ Jesus throughout all generations, for ever and ever! Previous Post Who Put Their Mom Stamp On You?